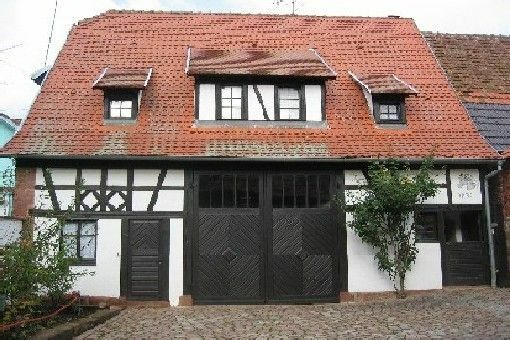 Furnished tourist located on the first floor, in a dependency of a typical farm of the Pays de Hanau, half-timbered with courtyard, presence of toys, a garden furniture and a barbecue in free access. Ideal for 2 adults and 2 or 3 children. Access to the apartment is independent of the owners' home with a separate entrance door. Peaceful. Location on the edge of the Natural Park of the Northern Vosges, near La Petite Pierre and about thirty kilometers from Strasbourg. The village is located 5 km from a small town, Bouxwiller, 15 km Saverne and 30 km from Strasbourg (north-west). A4 motorway exits: St-Jean-Saverne or Hochfelden (or Schwindratzheim) or Brumath 10 km away. Tennis, swimming pool 5 km. Situation in the Northern Vosges Natural Park with the possibility of many hikes.